WE DO NOT PLAN ON CHARGING "by the seat". 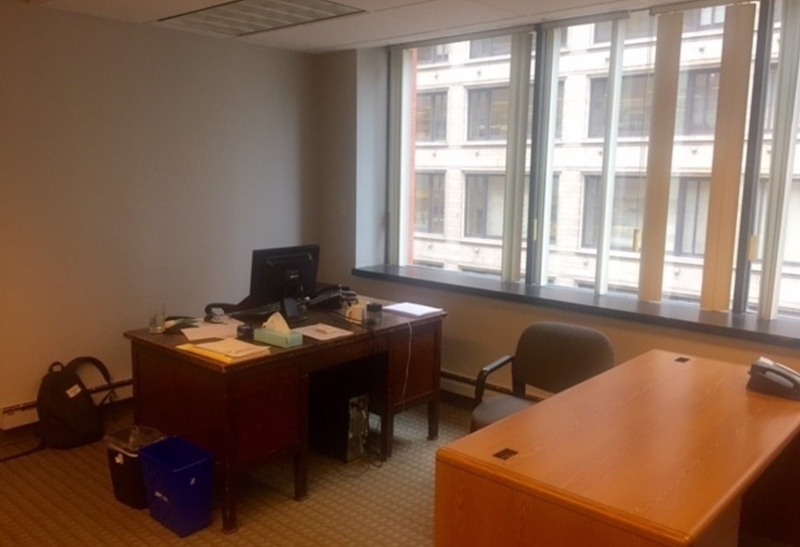 The price includes the entire separate office that can hold 2-3 desks. 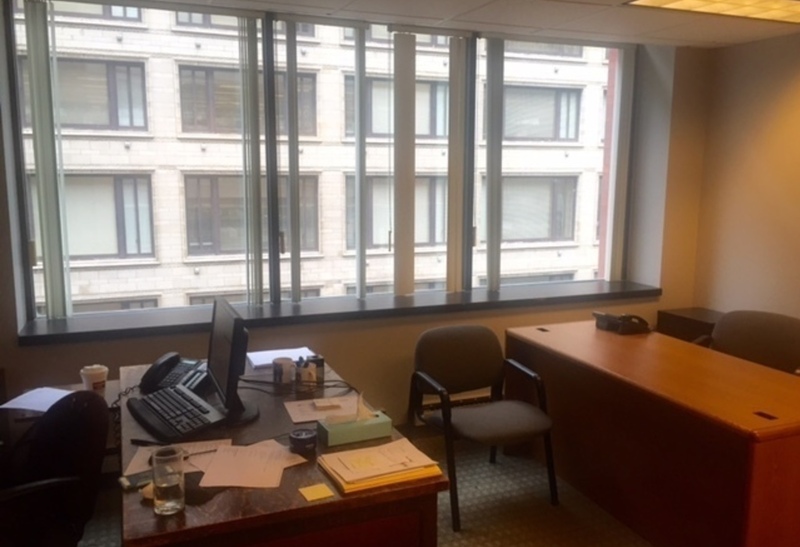 Prime COMMERCIAL shared office space at a small non-profit in the heart of the Loop. Convenient to all train lines at Lake/Monroe stations and multiple bus routes. 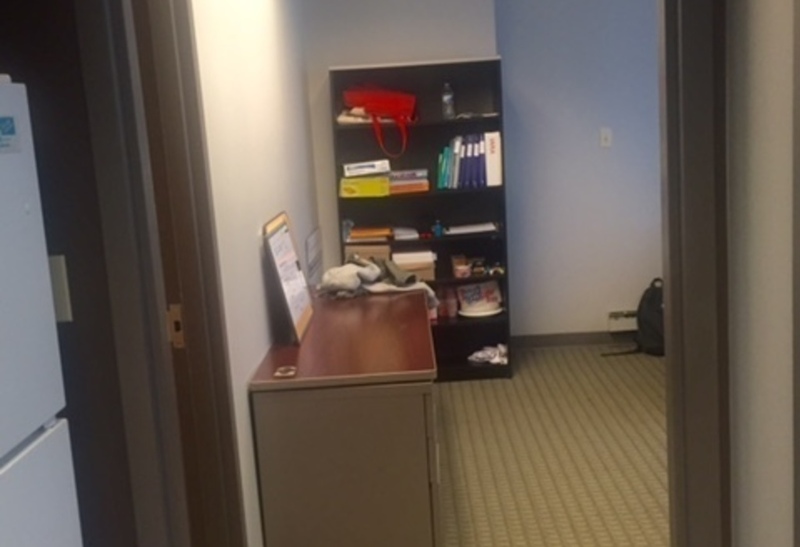 One whole office room available (15.5 feet x 13.5 feet). Currently set up for two large desks, but can fit three. 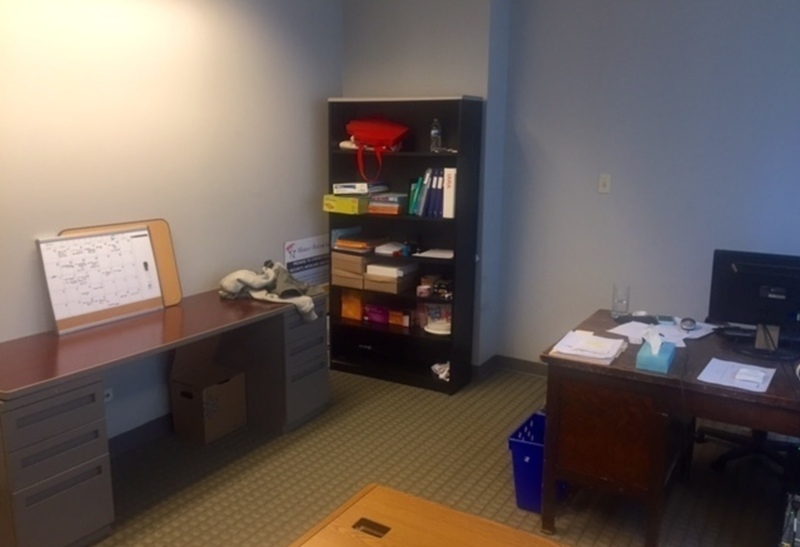 While the room is not "private" (it doesn't have a door), it is distanced from the rest of the office and has a very private feel. Open window overlooking Monroe St. provides sunlight and a look down onto the busy foot traffic. Utilities included and access to the copier for .10 cents per copy. There is also a kitchen and a refrigerator for use. IMPORTANT: Also includes unlimited access to large conference space on the same floor. 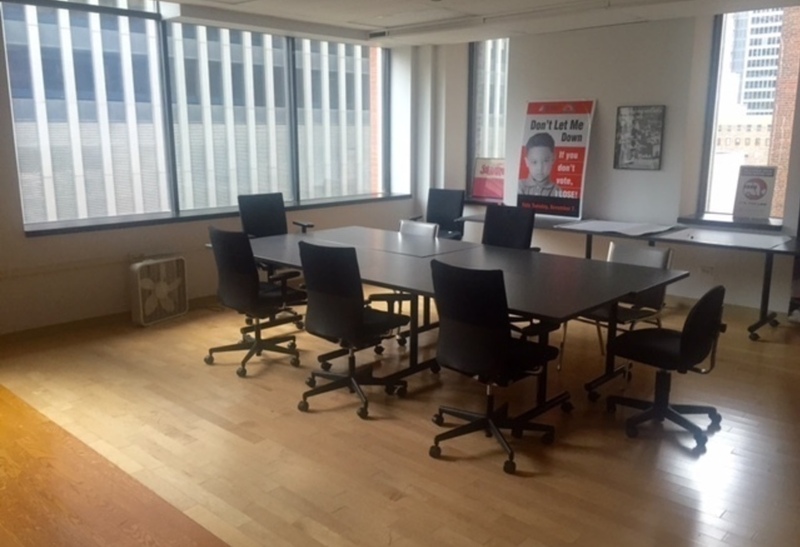 We are a small non-profit located in the heart of the Loop, downtown Chicago. We specialize in multiple legislative issues at the federal, state and local levels. We are committed to economic, political and social justice. We are a very small staff and have an excess of space in our fantastic mid-Loop location.